First of all, thank you for coming to this page! It means a lot already, that you care enough to see what all this is about. 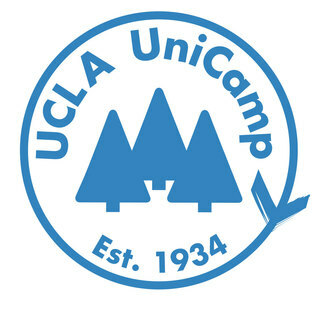 To sum it up, UniCamp is an organization that takes kids from underserved LA communities to a week of camp, and it's something that I've devoted myself to at UCLA. This year, I currently need to fundraise $1200 dollars to make it possible to take older campers up to camp, teaching them about leadership, service learning, and educational awareness. If this cause is reason enough for you to donate, then great! I appreciate any contribution from anyone, but if you want to learn a little more, take some time to read on. Tell me why when I looked you up on FB i literally typed blubs, smhhhhh But love you blubs, thanks for taking me out to desert and hers to KBBQ next! Coming into college, I was lost. Going from a high school where I knew mostly everyone from middle school, to UCLA's large campus presented me with a challenge; I was stuck, surrounded by unfamiliar, stranded as I didn't know what direction I was going. The first quarter was one of my roughest ever in school, unable to make friends as I feared I wasn't interesting enough to talk to, or smart enough to provide anything for the others around me. I know that may seem dumb, but the fear of being inadequate just shone through, especially as I faced an environment that I felt was impossible for me to thrive in. Having band in high school filled me with a sense of purpose, working together to always improve and deliver a great performance, but more importantly it gave me a space where I could always be myself and grow, unjudged for any of my actions, surrounded by people that care about me. When I got to college, it felt like this space no longer existed, making me a shell of the person I once was, unable to devote myself to people that I care about, unable to express any of my feelings, causing everything to just bottle up inside. My second quarter, I found myself standing in a room, full of strangers singing weird songs, screaming at the top of their lungs, and overall just being extra a'f. My first thought was "Why am I here? I'm scared of standing out; I don't have the energy for this." I've always been a little socially awkward, unable to approach others first, barely functioning when I have uncertainty so this new strange setting scared me. Yet as time went by, and I forced myself to try and be involved as to not kill the mood, I realized what I was seeing wasn't people being weird or extra, it was people who exuded pure passion, for an organization that's a huge part of their lives. I will always remain grateful to Michael Scheipe/Dr. Pepper, who radiated excitement and devotion to camp, without whom I would not have made the most important decision I've made at UCLA. There's a little something at camp we call "Woodsey Magic." It's something that seems silly, but at this point, I'm definitely sure it exists and it's unique to UniCamp. To me, it has something to do with being surrounded by people who are passionate, putting their all into all they do, even though their efforts only bear fruit some time two quarters later. To me, it has something to do with feeling proud around so many people that care about others, sacrificing their time to become better mentors, to fundraise in order to help provide an experience to a kid they have yet to meet and make their lives a little bit more magical. To me, it has something to do with being around such positive people that it brings out the best in me; I no longer feel like a shell of a person; I finally become able to show every part of me: the fun, the hard-working, the sensitive, the vulnerable, the "weird", the caring. This is part of the reason why I am a part of UniCamp, but that's just what it does for me. When we finally go up to camp and our efforts finally come to fruition, there is no other word to describe it than magical. From the very moment the campers unload the buses, the counselors begin to spread the Woodsey Magic, spirits high as everyone just wants to make this week of camp as amazing as possible. Generally from underserved parts of LA, the campers get an experience that typically wouldn't be possible for them: climbing, learning archery, mountain biking, taking hikes through nature. Yet aside from the fun and games, these camp sessions always have a greater motive, from teaching campers about social justice, aiding them with academics, keeping them in touch with their culture, to just providing a safe space for the campers to feel comfortable with themselves. At camp, there are amazing campers facing a variety of different struggles; after having found solace with UniCamp at one of the hardest times of my life, I think that it’s important to provide the same for them. Whether it’s by providing a safe space that they’ve never had, guiding them towards becoming better leaders, or just by being another resource that they can look towards, this camp experience really helps the campers move towards being able to achieve their greatest potential and I think it’s so important to give them this opportunity. The impact it makes is so great that some campers graduate, and commute to UCLA just to be a part of this community and give back. Unicamp creates lifelong bonds and uncountable opportunities for growth. To be able to touch another's life in this way, and be able to contribute to another's growth with anything I may have to offer, UniCamp makes this all possible for me. If you've made it this far, I just want to let you know I appreciate you, for giving me this chance, for listening to my words. If you're someone I knew or someone who knew me before college, I thank you for taking the time for learning more about me; I was mostly seen as the band geek, the high-achieving nerd, but there's a little more to me than that. If you're someone who never saw that part of me, then thanks for taking the time to learn a little about my past, my present struggles, and about the organization that I see will be a huge part of my future.